Interest in PE is booming, so it is unsurprising that 76% of CFOs said that asset growth is the top priority for their firm. What is shocking is the level of competition that the PE industry poses to hedge funds. 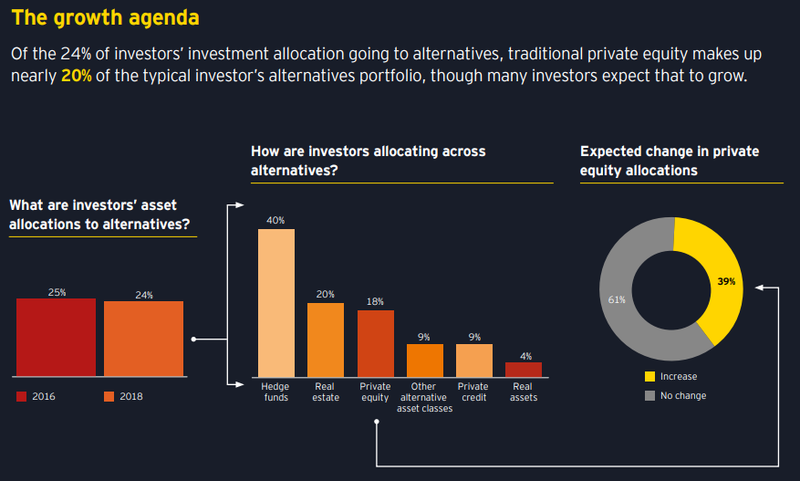 Currently, 18% of the typical investor’s alternatives portfolio is made up of traditional PE investments, and nearly 40% of investors expect to allocate more capital to PE firms. 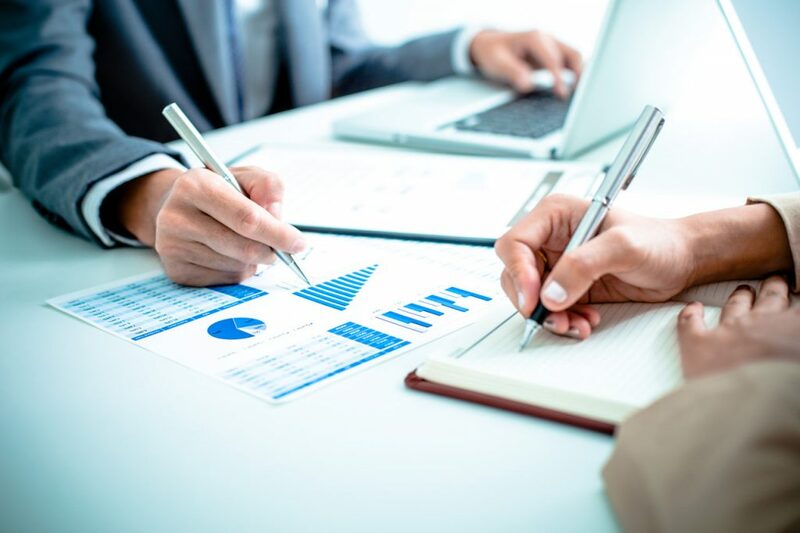 Taking advantage of this momentum and displaying optimism, over half of CFOs noted that they expect to raise a new fund in 2019 and 65% expect that the new fund will be larger than their last. Sensitive to investor preferences regarding traditional alternative asset managers’ offerings, 59% of PE CFOs are responding by launching new strategies, and less than half (41%) are strictly increasing assets in existing strategies. In their quest to grow assets, of those PE CFOs who offer or plan to offer nontraditional products in the next two years, 35% will focus on private credit, and another quarter will focus on products across real estate, real assets and venture capital. The pursuit to grow top-line revenue has been plagued by margin erosion. Nearly 40% of CFOs noted that margins have worsened over the past two years, and another third reported that they were unchanged. 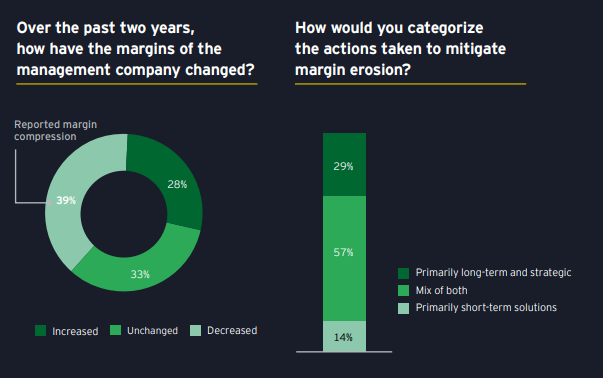 Only 28% have seen margin improvements. This begs the question: are PE firms doing enough to address gaps in their operational infrastructure to fend off ever-increasing margin pressures? PE firms are looking at a number of areas to reduce costs, with 39% of CFOs listing technology as a high priority in mitigating margin erosion and another 37% aiming to prioritize outsourcing. PE firms are just emerging from the era of Excel spreadsheets. Despite historical underinvestment in technology, most PE CFOs note that their firms have recently made or are planning to make investments in technology across a wide array of functions. Over the past two to three years, PE managers have made technology investments in the areas of fund accounting (66%), investor relations (62%), accounts payable/time and expenses (57%), and compliance and regulatory reporting (56%). Unfortunately, most report that the payoff has yet to be seen. 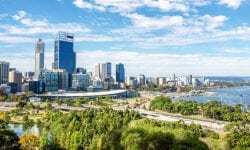 The tax and accounts payable finance functions have received the biggest benefit thus far, with 33% and 40% of CFOs reporting net decreases in operating expenses in these areas, respectively. The hurdles include the need to enter clean data, integrate systems and fully enable the workforce. With technological advances comes the need for skill sets beyond investment and finance. When asked if their workforce is ready to meet the current data literacy and technology requirements of their roles, the vast majority of CFOs feel that they are. Still, 52% of CFOs seek candidates with more data and analytics experience and 23% seek candidates with coding and programming skills, indicating that CFOs are focused on strengthening their staffs’ technology literacy. Unlike their peers across the financial services industry, PE firms have been slow to adopt robotics. The largest firms (by assets under management) are the furthest along in pursuing next generation technology investments, as 52% are planning to make an investment in robotics, as compared to just 10% of the smallest firms. Still, an awareness gap exists. Nearly 40% of CFOs leading the largest PE firms are not aware of the breadth of robotics solutions available and their capabilities. This number skyrockets to 77% for smaller PE firms. Some CFOs report that they are turning to outsource providers to allow employees to pivot their focus from routine, time-consuming tasks to more value-add activities. Most firms are already outsourcing some portion of their tax function (94%), compliance/regulatory reporting (71%) and fund accounting (55%). Yet, fewer than half of PE CFOs note that they are outsourcing activities such as investor relations, treasury, portfolio analysis, valuation, and accounts payable/time and expenses, leaving room for further opportunities to outsource. Despite the increasing availability of technology and outsourced operational solutions, 60% of PE CFOs rank talent management as a top strategic priority. In this environment, talent management programs are a “need to have,” not a “nice to have” for recruiting and retaining leading-class talent. As the workforce is evolving, approximately half of CFOs have changed the profile of the candidates that they evaluate, interview and ultimately hire relative to 5 to 10 years ago. Now, more than ever, they recognize the role diversity plays in fostering different perspectives that can positively impact investment decisions. Because of this, 79% of CFOs seek to improve gender diversity and 63% seek to increase cultural diversity. Even as technology plays an increasingly critical role in a fund’s operations, there is no substitute for quality people. Investors expect that talent programs to develop future leaders, increase diversity of skill sets and maintain employee satisfaction to minimize disruption caused by turnover are commonplace. In fact, 78% of investors request information about a firm’s talent management program during the due diligence process, and, of those that request information, 68% say that is it critically important to them. 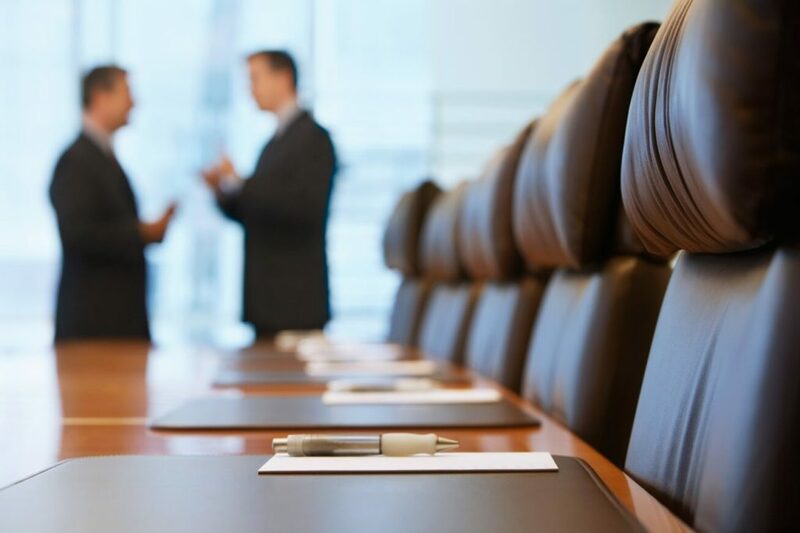 Managers need to heed these requests, as more than half (54%) of PE CFOs surveyed do not yet have a formal talent management program in place. US Fed Decision: What does it mean for Hedge Funds?